Looking for The Giving Report by CanadaHelps? Launched on November 9th, 2017, the 2017 edition of the annual report can be viewed here. CanadaHelps is proud to participate in the 2017 Global Trends in Giving Report with partners Nonprofit Tech for Good and Your Public Interest Registry. 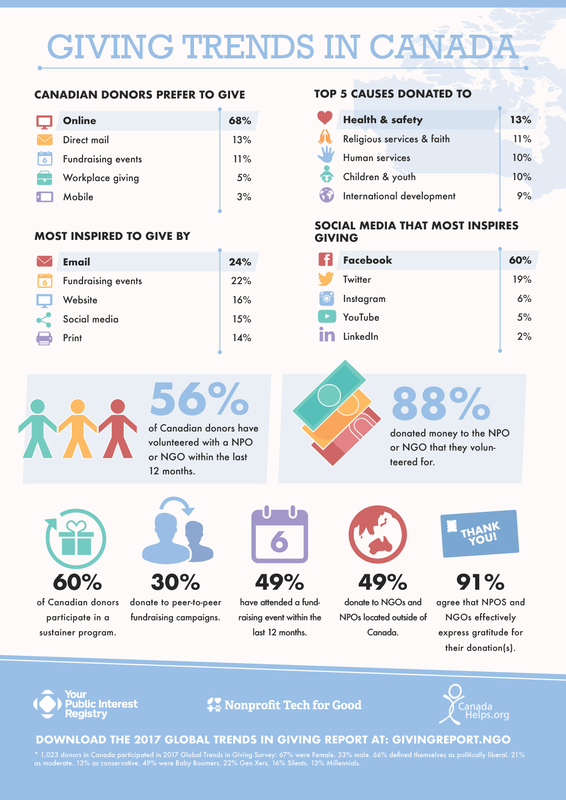 The results are important in helping us understand how Canadians prefer to engage with their favourite causes and charities, what inspires them to give and what causes are most important to them. The full report is available for anyone to download (available in both English and French) but the below infographic shares a few report highlights.